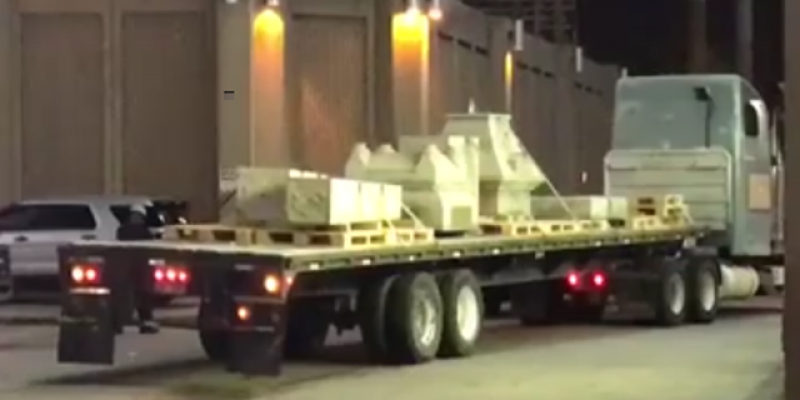 UPDATE: After an announcement that there would be no attempt to remove the Jefferson Davis monument Monday night, the police were finally able to disperse the verbally hostile camps at the monument. At least four arrests were made. 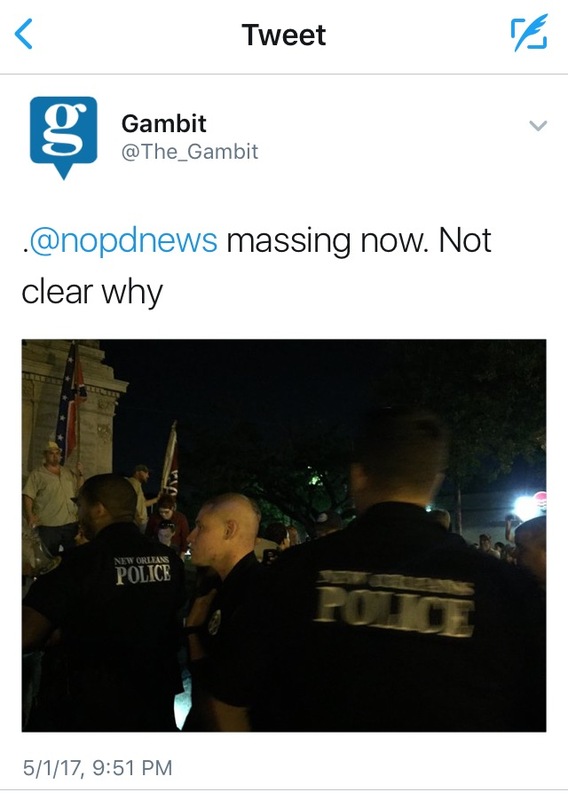 ORIGINAL: Video obtained exclusively by The Hayride shows Mitch Landrieu’s New Orleans Police Department refusing to enforce the law at a protest this evening. 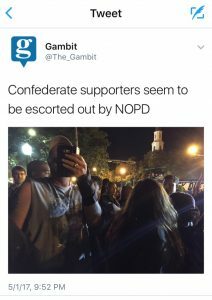 In the video, reviewed in toto by yours truly, the concerned citizen told New Orleans police that at least one anti-monument protester was wearing a mask in violation of Louisiana law. 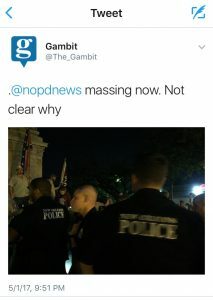 Despite Landrieu and Gov Jon Bel Edwards introducing a $40 million package to “improve manpower, crime deterrence and our apprehensions,” New Orleans police apparently did not have appropriate manpower to arrest law-breakers tonight. While yours truly was preparing this post, Gambit reported that NOLA PD finally amassed (just in time) seemingly to remove pro-monument supporters.